Congratulations to WiBotic Co-Founder Josh Smith Recognized as UW EE’s Professor in Entrepreneurial Excellence! 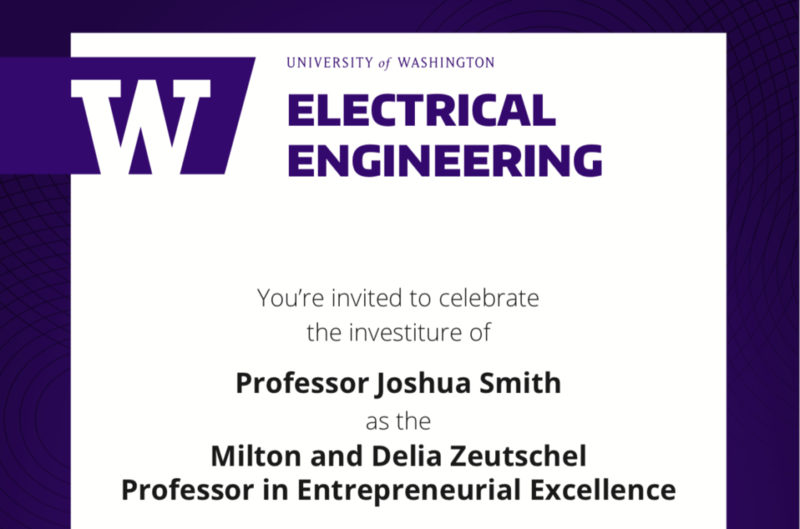 We’re so honored and proud of WiBotic Co-Founder Professor Joshua Smith for being recognized by the UW Electrical Engineering as the Milton and Delia Zeutschel Professor in Entrepreneurial Excellence! The Milton and Delia Zeutschel Professorship in Entrepreneurial Excellence is a professorship that supports the department in recruiting and retaining entrepreneurially-driven faculty, who will help build and sustain an engineering entrepreneurial ecosystem at the UW.